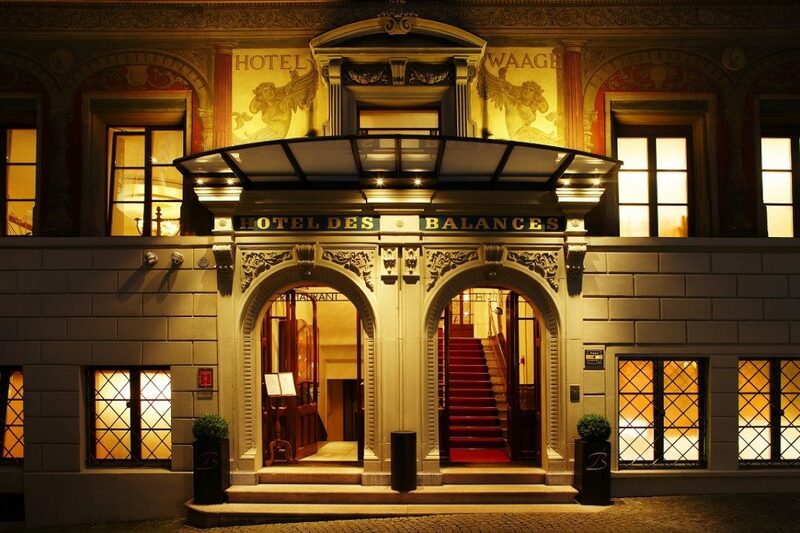 The famous Hotel des Balances is one of the most beautiful houses in the old town of Lucerne. 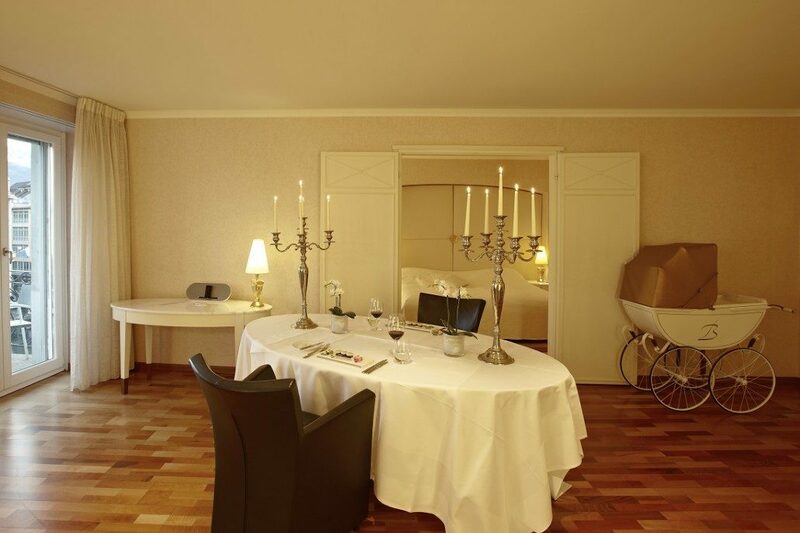 It delights its guests with the historical facades, perfect location on the Reuss promenade as well as the lovely view to the Jesuit church and Swiss Alps. 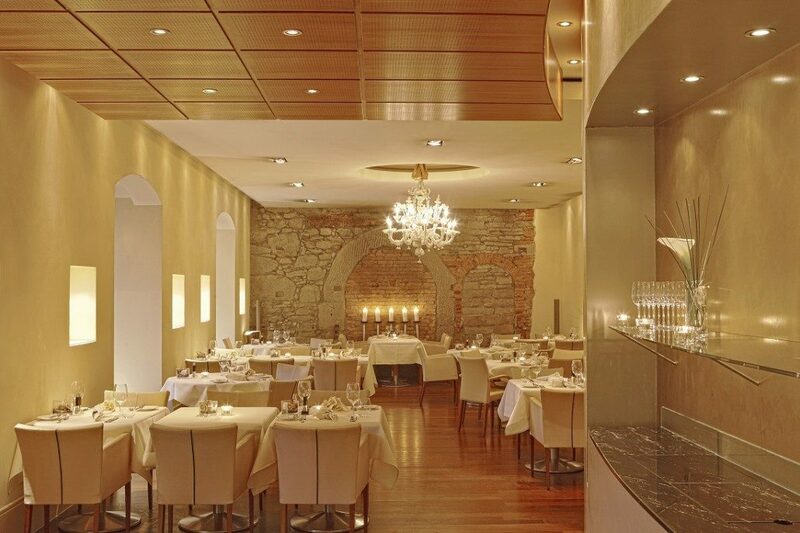 Exclusively, stylishly furnished premises, restaurant with haute cuisine and high class service leave nothing more to be desired. 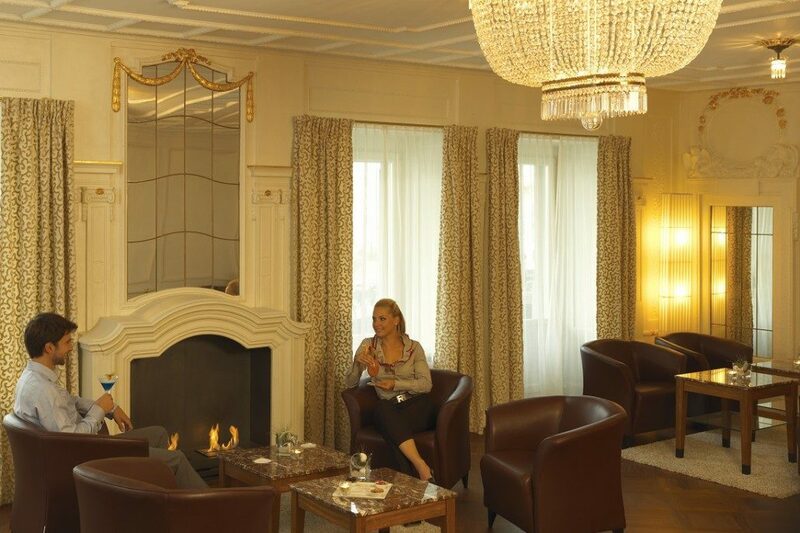 The romantic Hotel des Balances (4* Superior) offers 56 wonderful rooms, elegantly designed and equipped with the modern technics for the highest comfort. 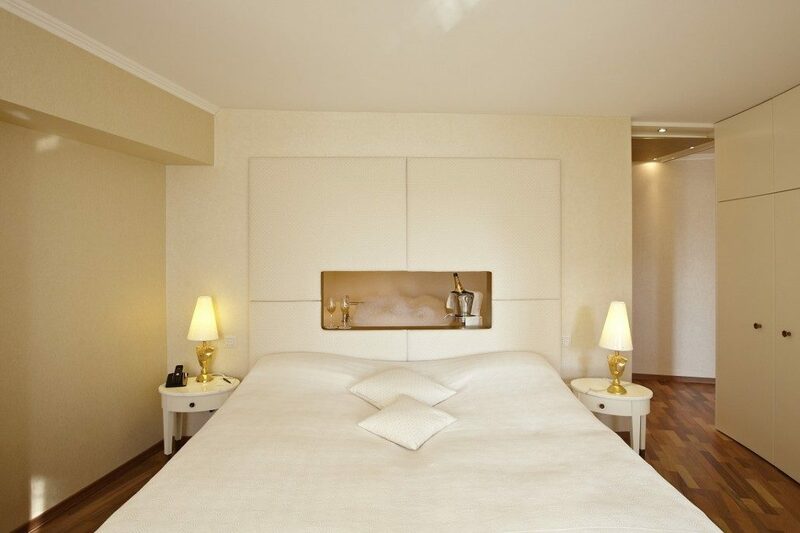 All our rooms are elegant, spacious and dispose of minibar, safe, radio, cable TV, direct phone, WLAN, guest information service and high-speed internet connection. 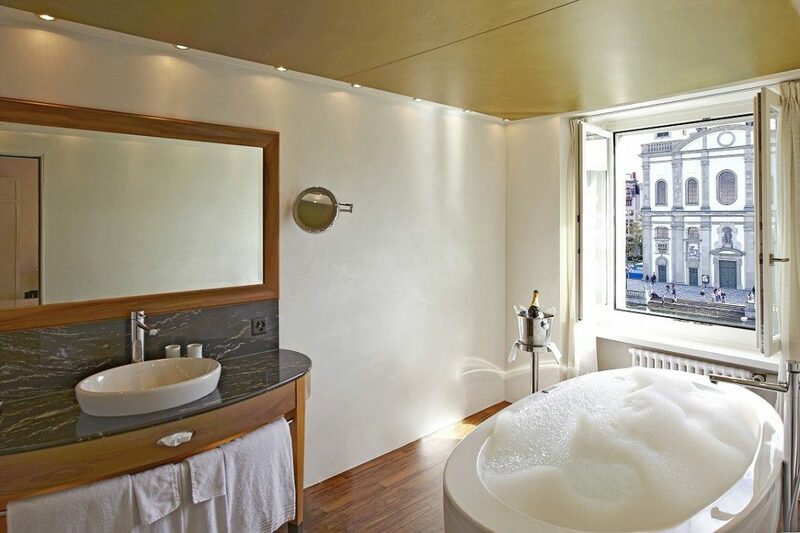 All the bathrooms are equipped with bath/WC, most of them also have a separate shower. 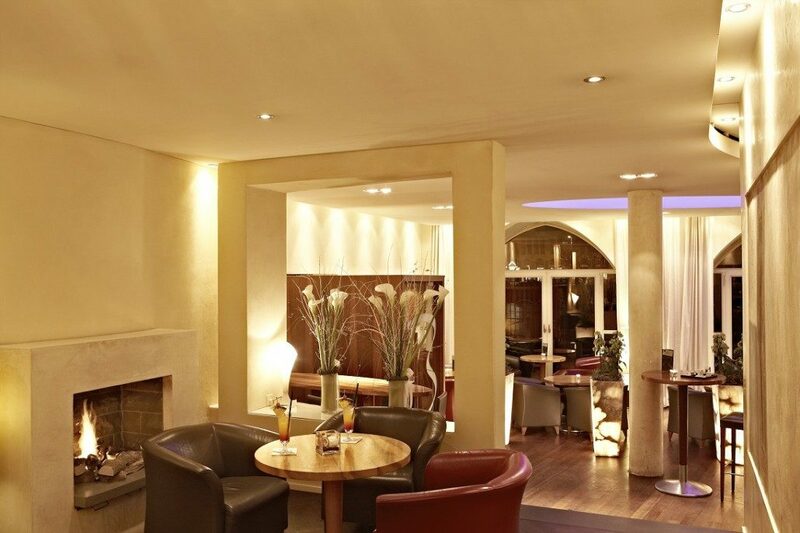 The noble restaurant Balances with its cosy Lounge, stylish Bar and sunny terrace belongs to the best restaurants of the Central Switzerland and has been honoured many times for its creative gourmet cuisine and special ambience. 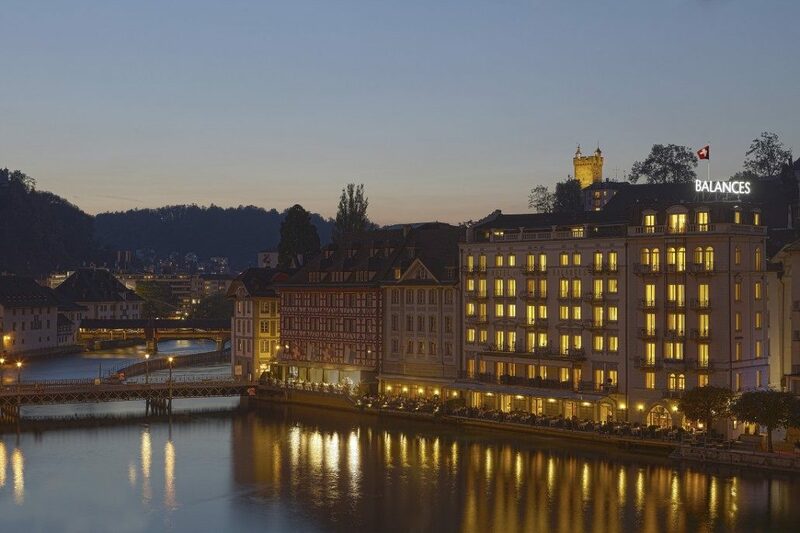 The culinary art of the Chef Andy Fluri guarantees an unforgettable gastronomic experience in the heart of Lucerne. 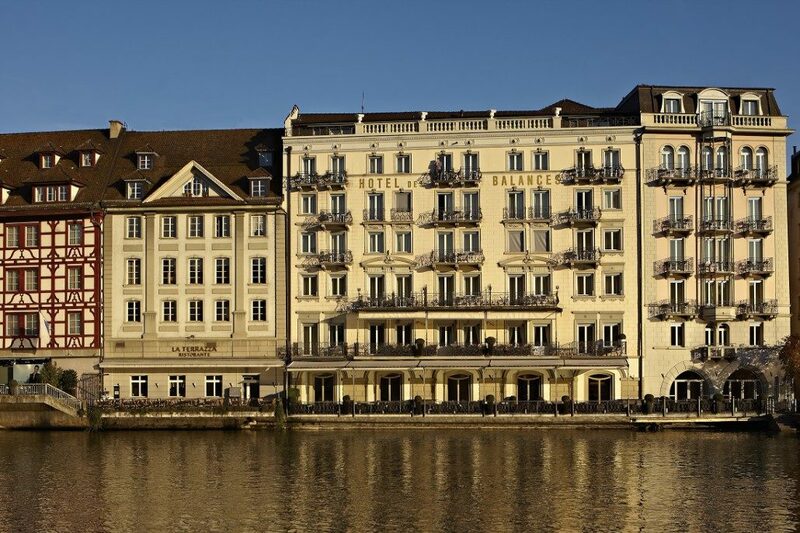 The Hotel is not only a perfect home base for sightseeing and shopping in Lucerne, but also the right address for events, business arrangements, seminars and banquets.